I queried an editor at France magazine and tried to sell them a story on St. Pierre and Miquelon. 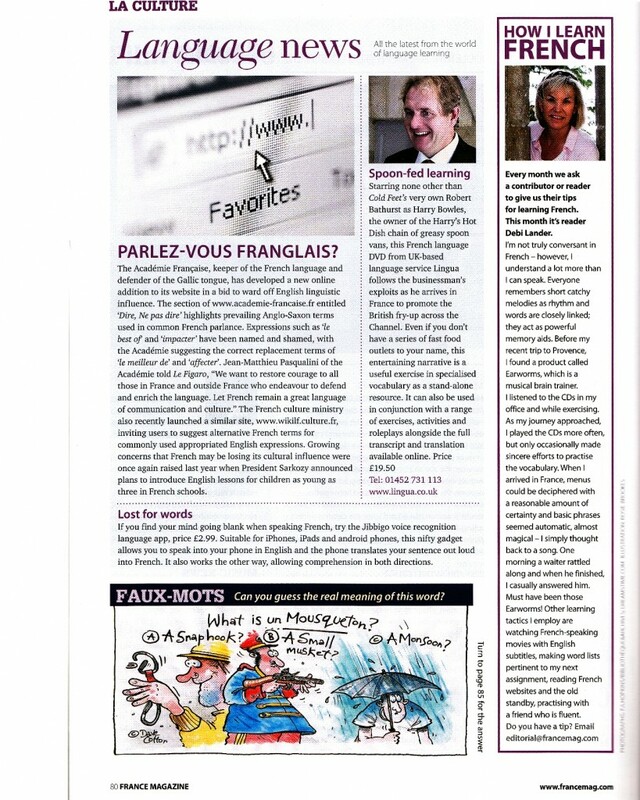 They weren’t interested, but they asked if they could use me in the monthly column How I Learn FRENCH. So here I am in the March 2012 issue.